While out shopping today, looking for my favorite foundation that is always sold out (Flower Cosmetics) I came across the prettiest thing I've ever seen in the "drug store" section of the makeup department in Walmart. Physicians Formula's City Daily Defense Bronzer in "Paris". I had never seen it before but once I did I just had to take it home with me, It was too pretty to leave behind. The powder is embossed with iconic French buildings and a cobblestone street reading "Paris". 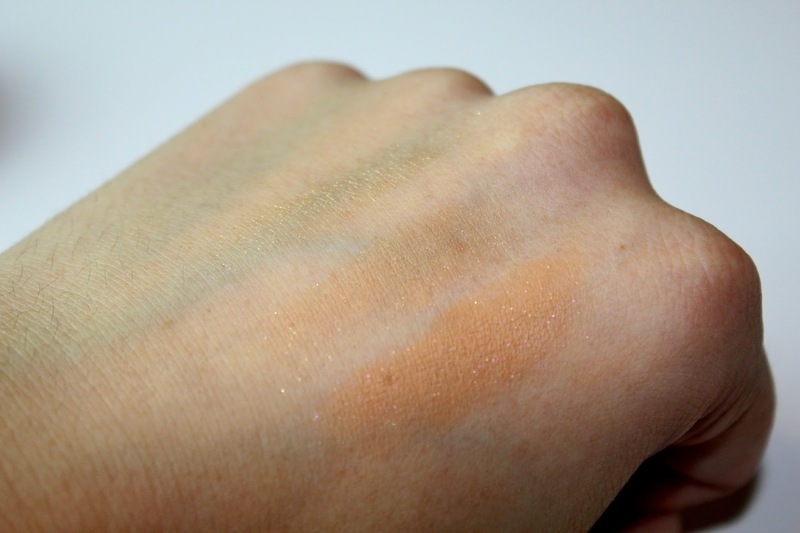 With the bronzer color being a golden glitter with a lighter more flesh toned shade as well. The glitter on the buildings goes away with first use. In the past I've tried PF products with mixed results. Most have been due to pigmentation issues. When I seen this product I just knew I had to give it a try. Since this is only a first impressions I will give you a better review of the product after I've worked with it a bit more. But so far I am not really loving the actual product. The design pressed in the powder is stunning but in a makeup product I want more than just a pretty design. Once I've fully tested this bronzer I will give you a full updated review on this post. Have you tried this Paris Bronzer, If so how did you get along with it? So I gave it a try and still wasn't happy with it. All I liked about it was the design, the product itself I didn't care for at all. This is the 3rd or 4th product I've tried from Physicians Formula and I've yet to like any of them. Normally I never ever return a beauty product but I just didn't feel like throwing $15 dollars away knowing I'd never use it. I would love to find a product that I love from this brand. So many people say great things about them I've just yet to find the one for me. Most all of their powders are beautiful looking I'm just afraid of wasting my money on them in fear they don't work.